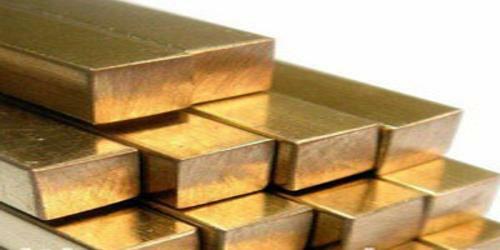 Brass is a yellowish alloy of copper and zinc, usually 67 percent copper and 33 percent zinc. It sometimes includes small amounts of other metals. Brass is strong, ductile, and resistant to many forms of corrosion. It is a substitutional alloy: atoms of the two constituents may replace each other within the same crystal structure. Basic modern brass is 67% copper and 33% zinc. However, the amount of copper may range from 55% to 95% by weight, with the amount of zinc varying from 5% to 40%. Lead commonly is added to brass at a concentration of around 2%. The lead addition improves the machinability of brass. Greek and Roman documents suggest that the intentional production of alloys similar to modern brass, using copper and a zinc oxide-rich ore known as calamine, occurred around the 1st century BC. Copper-zinc alloys were produced as early the 5th century BC in China and were widely used in central Asia by the 2nd and 3rd century BC. 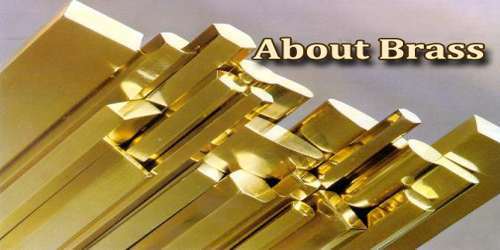 ‘Brass’ is a generic term that refers to a wide range of copper-zinc alloys. In fact, there are over 60 different types of brass specified by EN (European Norm) Standards. These alloys can have a wide range of different compositions depending upon the properties required for a particular application. Brass is most often produced from copper scrap and zinc ingots. Scrap copper is selected based on its impurities, as certain additional elements are desired in order to produce the exact grade of brass required. Because zinc begins to boil and vaporize at 1665°F (907°C), below copper’s melting point 1981° F (1083°C), the copper must first be melted. Once melted, zinc is added at a ratio appropriate for the grade of brass being produced. Brass often has a bright gold appearance; however, it can also be reddish-gold in color or silvery-white. A higher percentage of copper yields a rosy tone, while more zinc makes the alloy appear silver. It has a higher malleability than either bronze or zinc. Brass has desirable acoustic properties appropriate for use in musical instruments. Brass is a soft metal that may be used in cases when a low chance of sparking is necessary. The alloy has a relatively low melting point. It’s a good conductor of heat. It resists corrosion, including galvanic corrosion from salt water. Brass is not ferromagnetic; it can be separated from ferrous scrap by passing the scrap near a powerful magnet. Brass scrap is collected and transported to the foundry where it is melted and recast into billets. Billets are heated and extruded into the desired form and size. 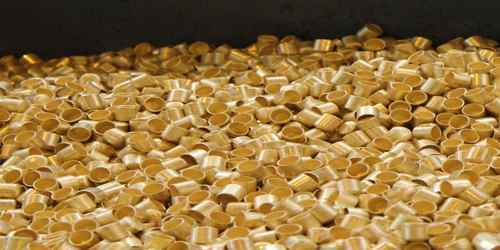 The general softness of brass means that it can often be machined without the use of cutting fluid, though there are exceptions to this. Brass’s valuable properties and relative ease of production has made it one of the most widely used alloys. It is used for decoration for its bright gold-like appearance; for applications where low friction is required such as locks, gears, bearings, doorknobs, ammunition casings and valves; for plumbing and electrical applications; and extensively in brass musical instruments such as horns and bells where a combination of high workability and durability is desired. Brass is also used in zippers. 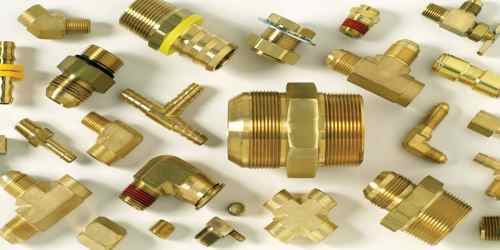 Brass is often used in situations in which it is important that sparks are not struck, such as in fittings and tools used near flammable or explosive materials.